Point2 Homes gives you far more than a simple list of houses for sale. Get instant access to a lot of relevant information about Fort Richmond, Winnipeg, MB real estate, including property descriptions, virtual tours, maps and photos. The search results pages also have a wealth of information on Fort Richmond, Winnipeg, MB, if you scroll all the way down. 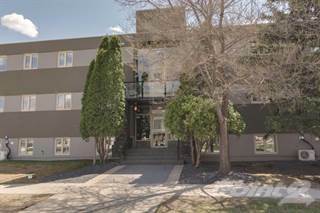 There are 15 houses for sale in Fort Richmond, Winnipeg, MB. 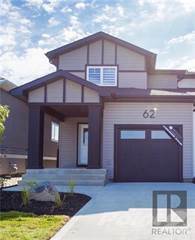 Searching homes for sale in Fort Richmond, Winnipeg, MB has never been more convenient. With Point2 Homes, you can easily browse through Fort Richmond, Winnipeg, MB single family homes for sale, townhomes, condos and commercial properties, and quickly get a general perspective of the real estate prices. Also, you’ll never miss a bargain if you filter listings based on house price drops in the past six months. 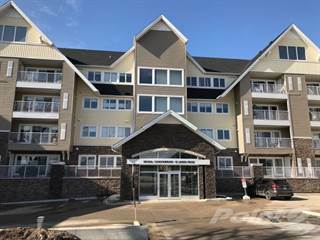 Use the map view to find Fort Richmond, Winnipeg, MB homes and apartments for sale, based on amenities or city features that you may want close by. You can close in on a specific neighbourhood or area by simply drawing around them with the polygon or radius tools. Stay informed about the latest entries on the real estate market by saving your searches. This way, you get new listings in your inbox, daily or every week, based on your preferences. If you’d like to get in touch with a professional, agents are displayed next to their listings, and they’re easy to contact through the online forms. If you want more options, you can click the Tools tab and Find an Agent, and you’ll get a list of helpful and knowledgeable real estate agents in Fort Richmond, Winnipeg, MB. Visit the Point2 Homes blog and you can find up to date expert advice on many markets throughout Canada, regular market reports, neighbourhood scoops in cities throughout the provinces, real estate deals and useful recommendations. Tucked alongside the park-like, sprawling campus of the University of Manitoba and the winding banks of the Red River, Fort Richmond is a picturesque south Winnipeg neighbourhood and is home to plenty of green space and suburban charm. The boundaries of this south Winnipeg, Manitoba neighbourhood stretch to the city’s outer transportation ring, the Perimeter Highway, and the well-established Pembina Highway corridor, home to many restaurants and businesses. Largely thanks to the presence of the university, the neighbourhood tends to attract a relatively young and diverse crowd, but there is plenty here for families too. 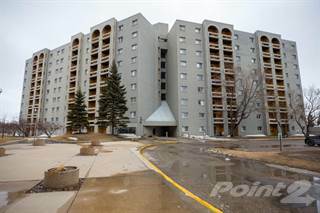 The neighbourhood attracts a diverse mix of people given its convenient location next to the University of Manitoba, the province’s largest university with nearly 30,000 students and another 8,700 faculty and staff. Around 15% of the university’s students are international, representing close to 115 countries. The Chinese community is one of the largest in this neighbourhood compared to other areas of the city. Not surprisingly, the area attracts a younger crowd because of the campus – 13% of the area is made up of 20-24 year-olds, according to the latest census data, compared to the city average of 7%. Families also flock to Fort Richmond thanks to its ample green space and amenities, closeness to schools and serene suburban lifestyle. As you explore the community, you’ll notice a range of residential options from condos to modest detached dwellings popular with students and young professionals in the area, to family homes with scenic views backing onto parkland or the Red River. Fort Richmond’s spacious, hidden gem parks are some of the major attractions in the neighbourhood. The pretty riverside Maple Grove Rugby Park includes Manitoba’s largest rugby-only complex with five pitches and a clubhouse. It’s also home to an off-leash dog park and trails, making it a popular gathering spot for the neighbourhood. King’s Park also borders the Red River, and is known for its beautiful Pagoda Gardens, the Carol Shields Memorial Labyrinth, an off-leash dog park area and other recreational amenities. Located on site at the University of Manitoba, Investors Group Field is the city’s largest entertainment venue, and serves as home base for both the Canadian Football League’s Winnipeg Blue Bombers, along with the University of Manitoba Bisons football team. Large concerts featuring artists like Paul McCartney and Taylor Swift and major sporting events such as FIFA Women’s World Cup and the National Hockey League have also used the venue. It’s a buzzworthy spot right next door that makes it easy for residents to take in the city’s hottest events. Only minutes away on the south side of the Perimeter Highway lies Manitoba’s largest and most popular farmers’ market. St. Norbert Farmers’ Market is a family-friendly outdoor market open June-October, where vendors sell fresh produce, meat, baked produce, handicrafts and more. The well-established commercial strip of Pembina Highway on the west edge of the neighbourhood boasts both chain and local ethnic eateries — Eat on Samosa (Indian cuisine) and China Garden (Chinese) — reflecting the cultural mosaic that calls the university area home. Winnipeg’s real estate market continues to be hot, and we’d expect Fort Richmond‘s to follow suit. According to Winnipeg Realtors, real estate sales in Winnipeg are rising at a record pace. Officials said detached homes are remaining on the market for about 30 days, while condos are selling in an average of 52 days. Fort Richmond boasts a home built in the 1890s and the 1910s, as well as a handful of residences dating from the 1920s-1940s. Most single family dwellings (75%), however, were constructed between the 1960s-1980s. Professionals and singles are drawn to the area’s many low-rise apartments, condos, and modest detached dwellings, while more large, upscale family homes can be found near the river. Concerts and sporting events at the nearby Investors Group Field can lead to increased congestion and may be audible from homes in the area, but these events typically occur on less than 15 days per year. Also of note is the nearby Red River, which is polluted and has strong currents, and is therefore not recommended for swimming. Crime rates in Winnipeg have continued to go down thanks to increased policing. The crime rate in Fort Richmond is much lower than in other parts of Winnipeg, and it is considered a safe area. Up-to-date statistical information on neighbourhood crimes reported across the city can be found on the Winnipeg Police Service CrimeStat map. Parents can find all three levels of public schooling in Fort Richmond, plus the option of post-secondary education right next door. For students in K-6, there’s Dalhousie School, Ryerson Elementary and Ecole St. Avila (French Immersion). Acadia Junior High caters for grades 7-9, and high school students up to grade 12 attend Fort Richmond Collegiate. 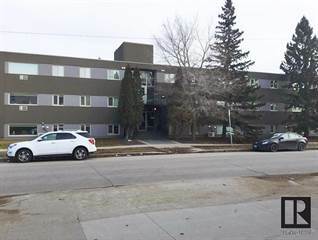 A big draw for residents in the area is the close proximity to the University of Manitoba campus, which is Western Canada’s first university, offering more than 90 degrees. The main campus comprises over 60 teaching and research buildings and sits on 680 acres of land. In addition, Smartpark is the location of seven buildings leased to research and development organizations involving university-industry partnerships. Winnipeg’s only current public transportation option is Winnipeg transit’s regular bus services and a short bus rapid transit line. For Fort Richmond residents, the good news is that the bus rapid transit line is extending to University of Manitoba in 2020, which will make it easier to access a faster route to downtown Winnipeg. The neighbourhood itself isn’t transit-heavy, but has connections to the transit-friendly Pembina Highway corridor and bustling transit hubs at the University of Manitoba. Families (54%) in the neighbourhood slightly outpace singles (46%). The easy access to post-secondary education and good transit links lead to a lot of young students and young professionals in the area, while amenities like parks, the safety of the community and three levels of school attract families.